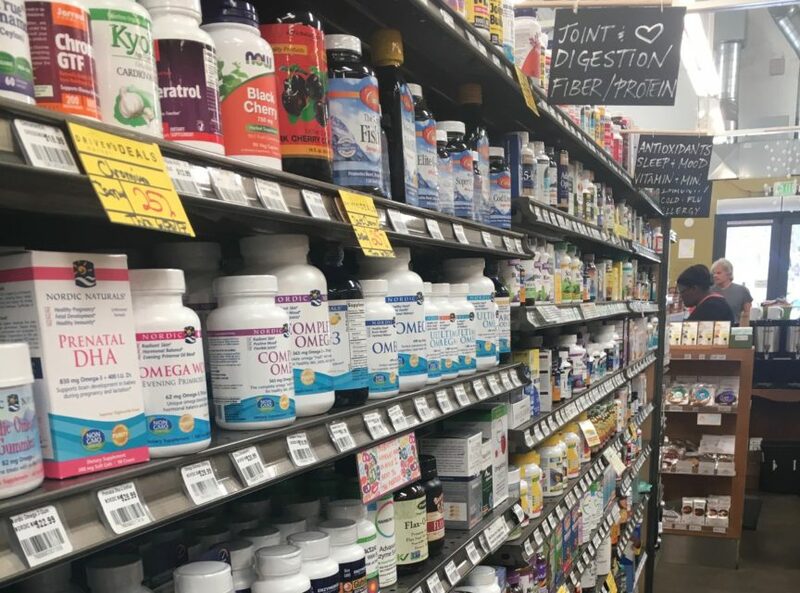 The supplement department at Driver’s Market is stocked with a selection of carefully chosen vitamins and minerals, and is organized in categories: immunity; hydration; amino acids; antioxidants; sleep/stress; multi-vitamins; digestives; pain relief; homeopathy; probiotics, and more. Driver’s supplement buyer, Danya Mosgofian, evaluates products and companies before bringing them in, and does the homework for our customers. “I prefer food-based products because they absorb better. Non-GMO, preferably organic, and no giant corporate manufacturers,” said Danya. Top sellers at Driver’s include immunity boosters, cold and flu treatments, and digestive aids. Danya also gets a lot of requests for heartburn relief. Her first step is to ask questions and help the customer determine the cause. For example, does the heartburn kick in before or after a meal? Danya sometimes recommends a form of licorice called DGL, which is an anti-inflammatory herb that helps ease inflammation in the stomach and esophagus. She might also suggest slippery elm, which can soothe digestive tracts irritated by acid reflux. Next time you are looking for relief in Driver’s supplement aisle, check in with Danya. She can often be found there, chatting with customers and sharing her wealth of knowledge.